There are some wedding traditions — bachelor parties and the bride tossing her bouquet — that are widely known and practiced all over the world. And there are some rituals that only the people of particular countries or cultures practice. Bright Side found some surprising wedding traditions from different countries. Look through them to the end as the last one is really tough. 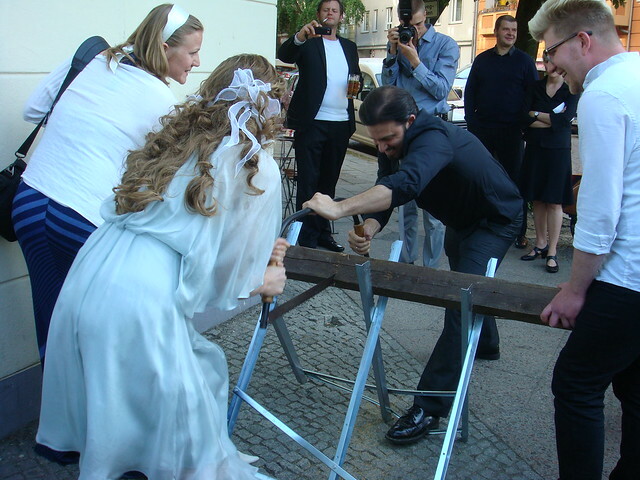 An old German wedding tradition is sawing through a log with a large saw with 2 handles. This act shows the married couple’s ability to work together and get through any obstacles that may happen in their marriage. 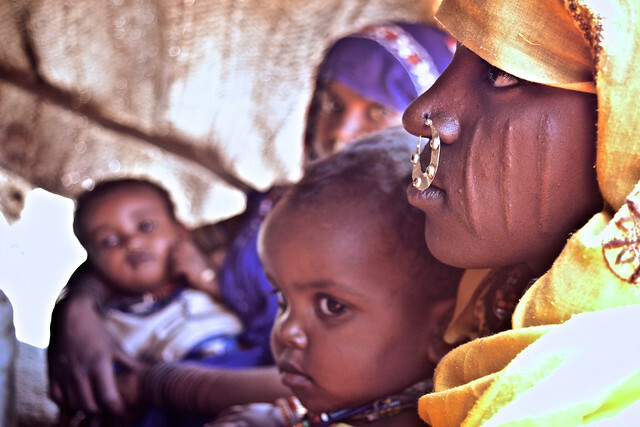 In the Nuer tribe in Sudan, the groom can get married if he pays with a certain number of cattle herds. The wedding is complete only when the wife gives birth to 2 children. If the wife has only one child, the husband can ask for a divorce. If the husband dies, his brother must become the new widow’s husband. After a wedding ceremony in Guatemala, a reception is held at the husband’s home. The mother of the husband greets the newly married couple by breaking a white bell filled with rice, flour, and grains to represent prosperity and abundance. In Romania and some other European countries, a mock abduction game can take place before the wedding ceremony. The bride is "kidnapped" by family, friends, or hired actors, and the groom must rescue her by paying a ransom with money, drinks, or romantic gestures. 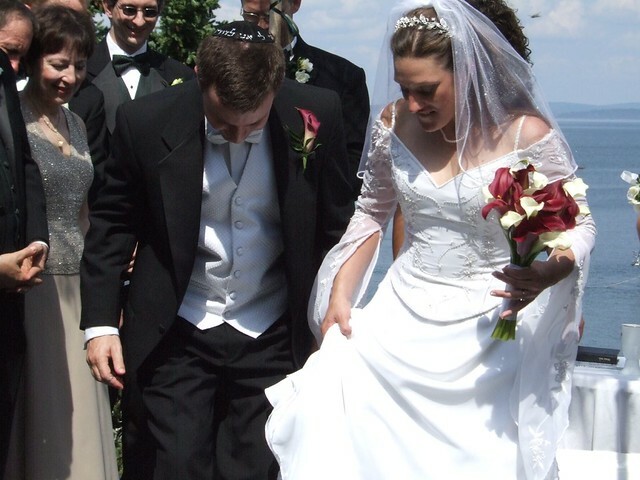 When a Jewish wedding ceremony comes to an end, the bride and groom step on a glass inside a cloth bag to shatter it. It has multiple meanings, and one of them is to demonstrate that marriage holds sorrow as well as joy and to represent the commitment to stand by one another. 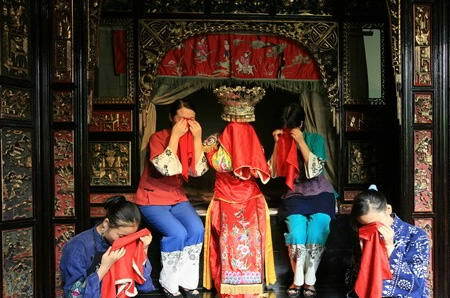 A bride from the Tujia ethnic group in China should cry for one hour every day for a month before her wedding and at the ceremony itself. 10 days after the bride starts crying, her mother joins in, and then 10 days later her grandmother joins them both. By the end of the month, every female in the family is crying alongside the bride. It’s supposed to be an expression of joy and happiness. As the women weep in different tones, it sounds almost like a song. The event called Mehendi is a colorful celebration held the night before the wedding by the women on the bride’s side of the family. 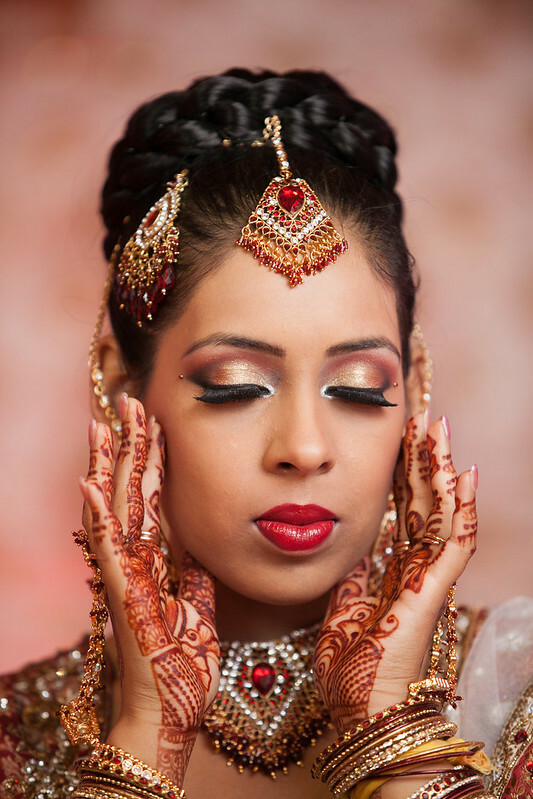 A professional artist or relative applies henna "tattoos" to the hands and feet of the bride and other women in the family. These designs symbolize spiritual awakening, joy, beauty, and offering. This tradition is popular in many other Asian countries. At a wedding celebration in Russia, the parents of the bride and groom greet the couple with bread with salt. It is a tradition implying hospitality. Both the bride and groom break off a piece of bread, put salt on it, and feed each other. Superstitiously, whoever breaks off the bigger piece will be the head of their future house. After that, every guest will receive a piece of the wedding bread called karavai. 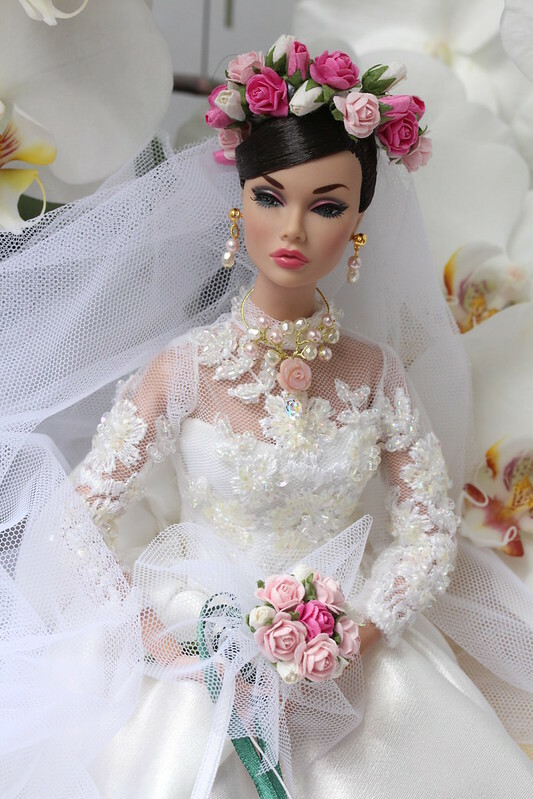 At a wedding in Puerto Rico, they have a bridal doll, which is fashioned to look like the bride and dressed similarly. The doll is covered with charms, which are later taken off and given to the guests, who are expected to put money onto the doll in exchange. 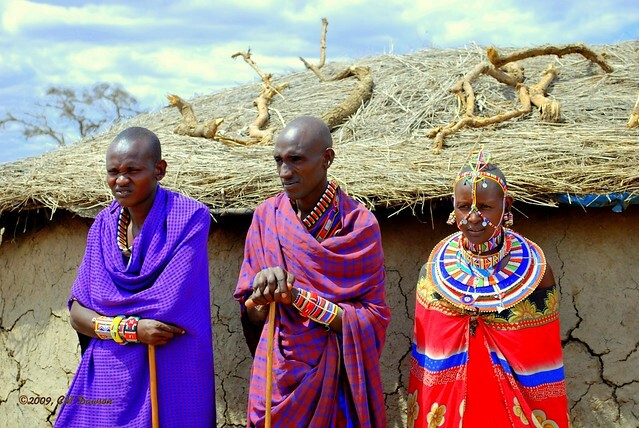 Massai girls of Kenya are usually given to a man much older than the bride. At the wedding ceremony, the father or brother of the bride spits on her head as a blessing. Then she leaves the house with her new husband, walking to her new home, no matter how far away it is. On the island of Borneo, divided between Indonesia and Malaysia, the Tidong tribe follows an ancient tradition that prohibits couples from using the bathroom for 3 days and 3 nights after the wedding. That’s why the bride and groom are given very small amounts of food and drink during a wedding ceremony. They believe the custom will lead to a long, happy, and fertile marriage and that breaking it will cause very bad luck. Do you have interesting and unusual wedding traditions in your country? Tell us about them in the comments.